A play about Botswana's first President, Seretse Khama, whose marriage to a white English woman while he was still a student caused a political storm in the UK and Africa, has been shown off Broadway in New York . Prince Seretse Khama met Ruth William while he was attending law school in London and she was working as a clerk. 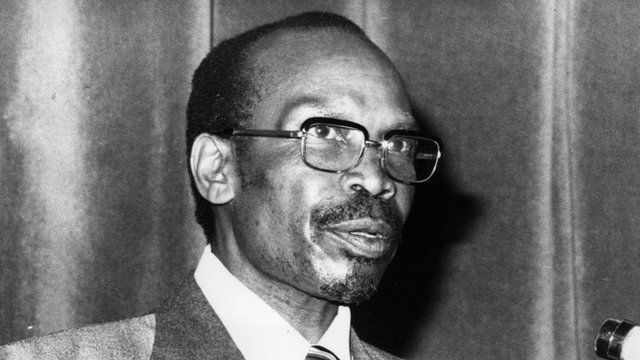 Both the UK and South Africa exerted pressure to have his tribal titles removed, and they eventually managed to do so, but when Botswana gained independence in 1966 he became the new country's president and she the first lady. The BBC's Leslie Goffe went along to see the play, Blue, Black and White, and to talk to its writer and star, Botswana's Donald Molosi, about this and his other works.